Malayalam star Prithviraj is quite gung-ho about his forthcoming directorial debut Lucifer, which he has said will remain the “highlight of his career.” As Mohanlal wrapped up the shoot on Monday, Prithviraj shared a heartfelt note expressing his gratitude to the Malayalam superstar for all his support. 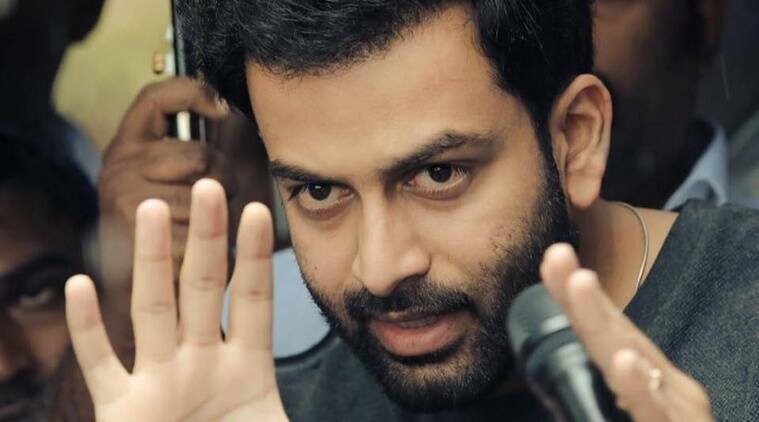 Prithviraj also recalled the advice from his “well-wishers”, who suggested him to drop the idea of directing a film as it will affect his career as an actor. “So today..Lalettan bids adieu to #Lucifer and #StephenNedumpally It has been a journey like no other for me. When I took up the challenge of directing a huge film like #Lucifer , most of my well wishers told me it wasnt the wisest decision Ive made..and that as an actor, its a foolish investment of time. I still dont know about that..but what I do know for sure..is that Ive probably learned more about cinema and my craft in the last 6 months than the 16 years preceding it. Thank you #Lalettan for believing in me..and directing you has been the absolute highlight of my career. Regardless of how many ever films I direct..or even if Ill never direct a film again..#StephenNedumpally will always be special (sic),” read Prithvirajs note, which he shared on his social media handles. Earlier, talking about the film, Mohanlal had promised that everyone will like the film. “Lucifer will be a good film. It will have an interesting story and narration techniques. It will be a good entertainer that will be liked by everyone. It is not easy to make an entertainer,” he had said. Recently, the film crew flew to Russia to complete the final schedule of the film. After announcing the project more than a year ago, the project finally went on floors earlier this year. Billed as a political thriller, it was majorly shot in Thiruvananthapuram. Lucifer boasts of an all-star cast including Mohanlal, Vivek Oberoi, Tovino Thomas, Manju Warrier and Manju Warrier among others. It is bankrolled by Antony Perumbavoor and is written Murali Gopy. The film is expected to open in cinemas in March 2019. EastEnders spoilers: Can Mick and Linda Carter save their marriage? (Picture: BBC) A lot has happened to the Carter family in the last few months in EastEnders, but can..
(Picture: Channel 5) Theres a familiar face returning to Neighbours and shell be causing big problem..